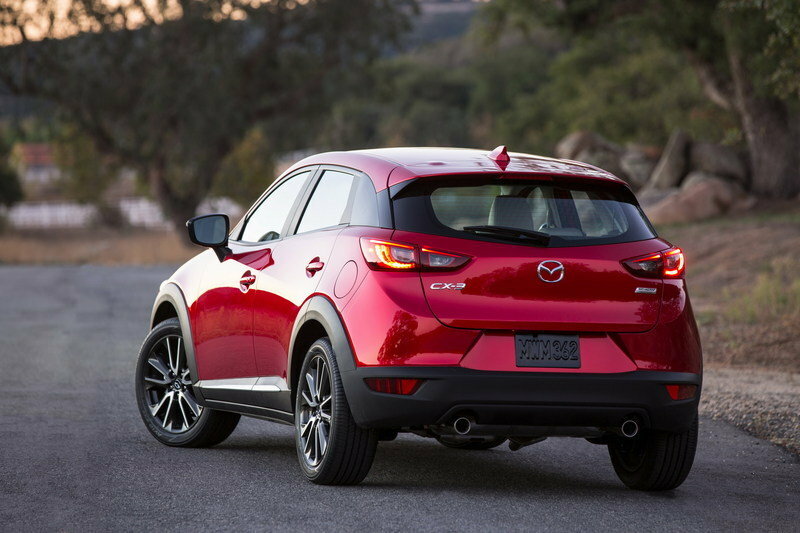 After a lot of waiting, here it is folks: the 2016 Mazda CX-3. 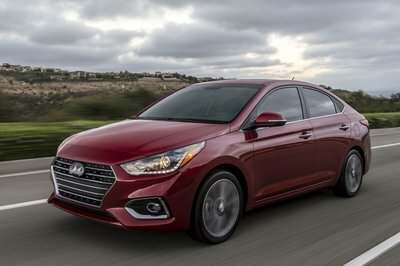 Prices for the 2017 model year carry over, but the Touring trim gets some new standard features, and one optional package sees a significant decrease in price. 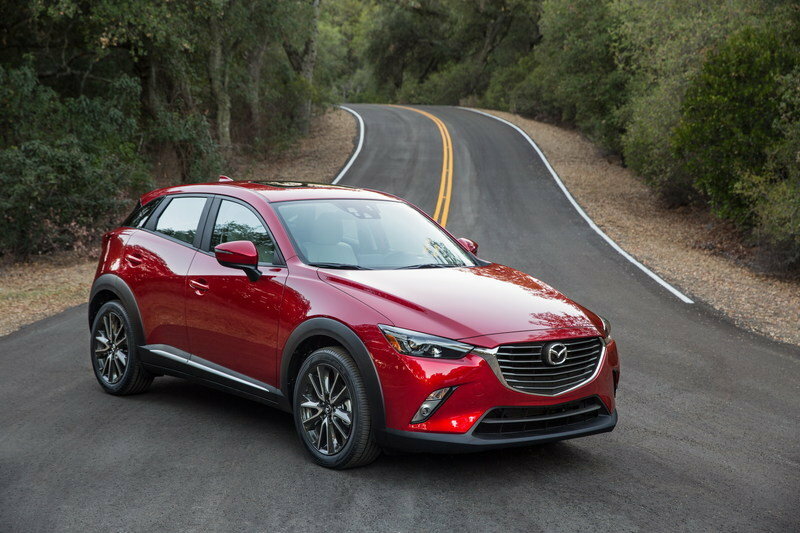 Angular and swoopy would be two good words to describe the CX-3’s look. The KODO design melds many different character lines into one seamless design. 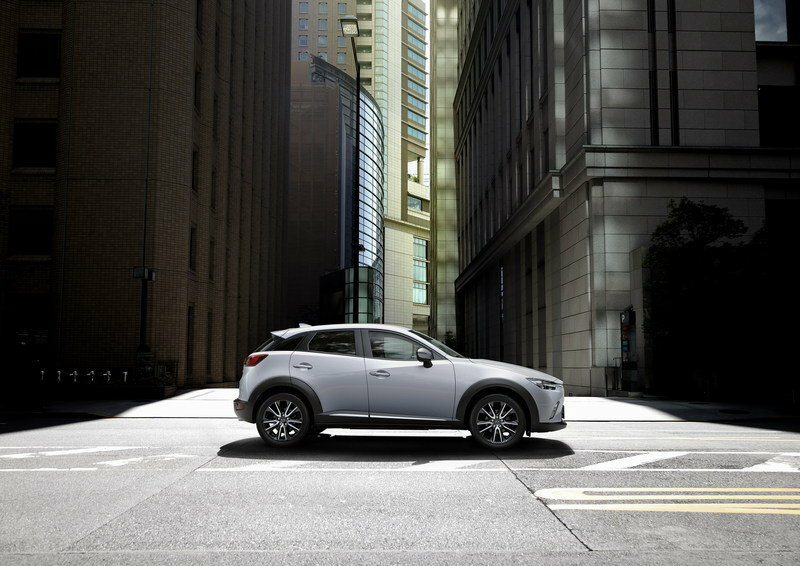 The CX-3 looks determined and attentive with its sharp headlights, open grille, hunkered stance, wide footprint, and sloping roofline. 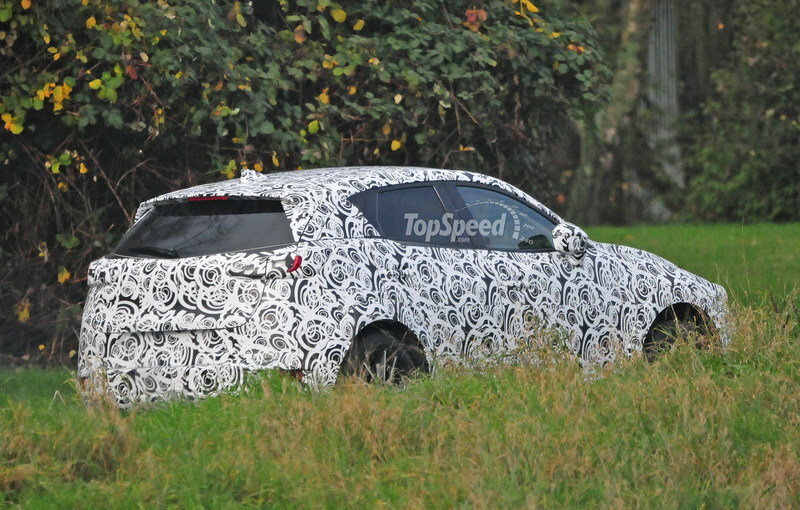 From the front wheels back, it looks somewhat like Lexus’ funky NX crossover. A rising skirt line grows from the front wheels upward, culminating in a blacked-out trim piece that covers the rear bumper’s bottom. Twin exhaust pipes peak from under the bodywork, reminding onlookers of the crossover’s sporty zoom-zoom flair. A falling beltline runs from the hood downward, passing through the side mirror and ending in the rear fender. A sculpted rear hatch holds a smallish piece of glass and a large spoiler. The hunkered look is one we really go for. 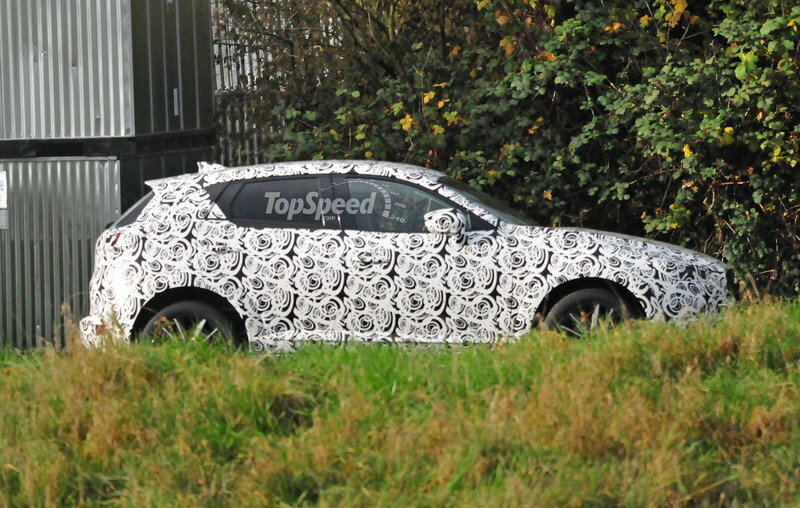 The CX-3 looks far more appealing than just about any crossover currently on the market. 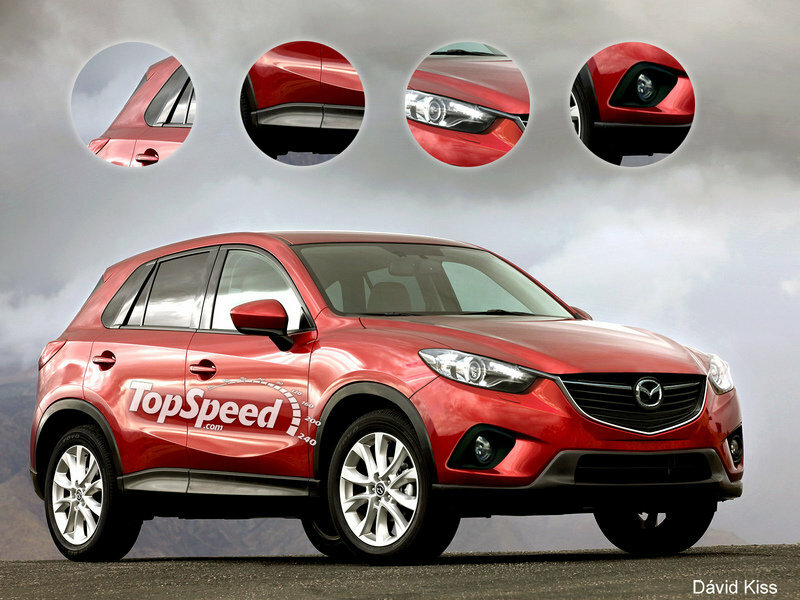 Leave it to Mazda to knock the competition out of the park on looks alone. 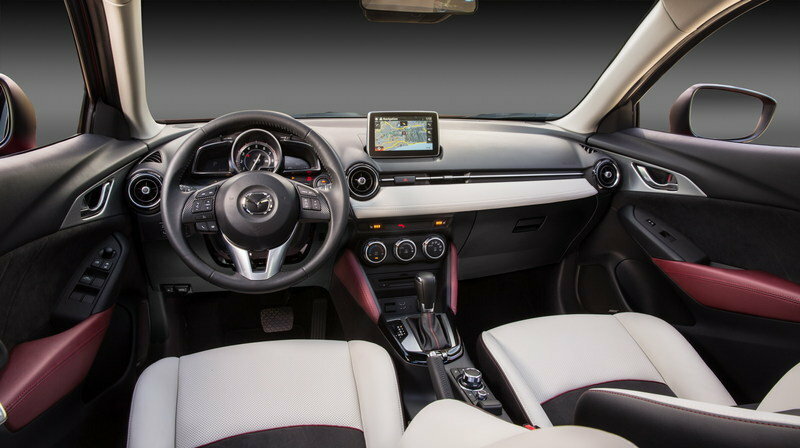 The CX-3’s interior borrows several design themes from the all-new MX-5 Miata. The split dash features a tablet-like infotainment screen with the HVAC system utilizing round air vents, except for the odd rectangular one on the passenger side center console. Three pods make up the driver’s gauge cluster, with the main round pod hosting a large tachometer and smallish digital speed readout. 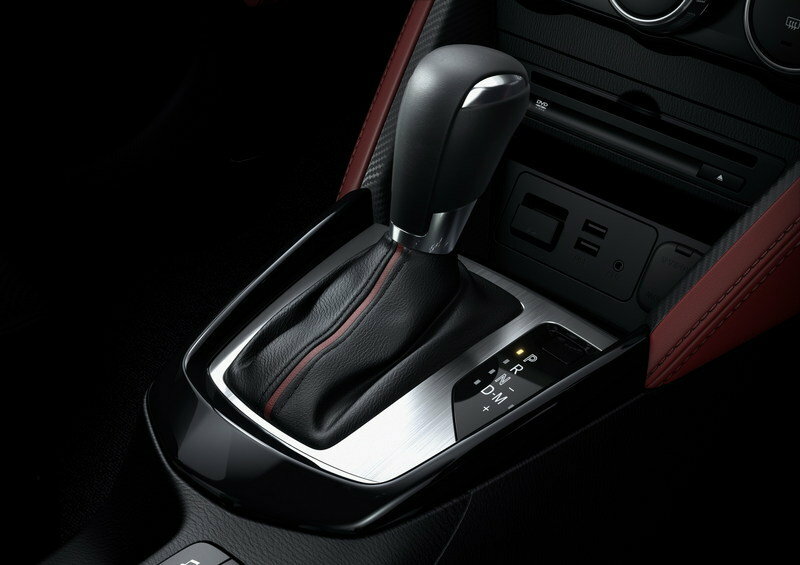 The six-speed automatic gets a manual shifter gate focused on the driver’s side. The hand brake is also driver-centric. Just to the right of the hand brake lies Mazda’s rotary infotainment controller knob. Added now is a palm rest for added comfort. Three large knobs take care of the HVAC system, so there’s no searching through on-screen menus for fan and temperature settings. A multi-function steering wheel is loaded with Bluetooth, radio, and cruise control switches. 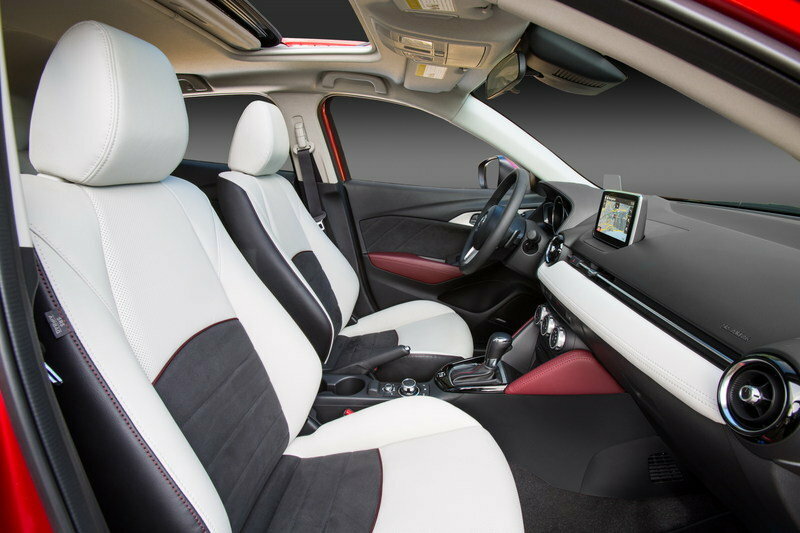 Mazda aides rear seat visibility by creating a stadium seating-like arrangement with the second row slightly higher than the first. The second-row seats are also placed further inboard than the front seats, easing line-of sight for conversations between the two rows. 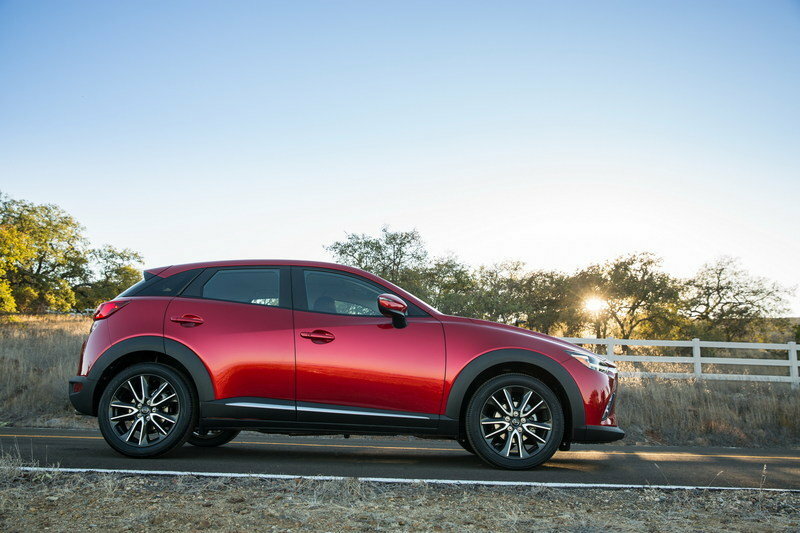 Powering the CX-3 is a naturally aspirated 2.0-liter Skyactiv four-cylinder. Mazda hasn’t released official horsepower or torque ratings for the engine, but we can likely assume things will stay the same as with the Mazda 3. In that application, the 2.0-liter produces 155 horsepower and 150 pound-feet of torque. A six-speed automatic transmission with manual shifting is the only gearbox of choice. 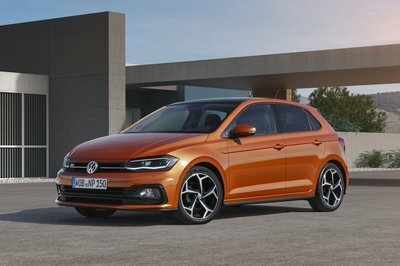 Buyers do get to choose between front- or all-wheel-drive. 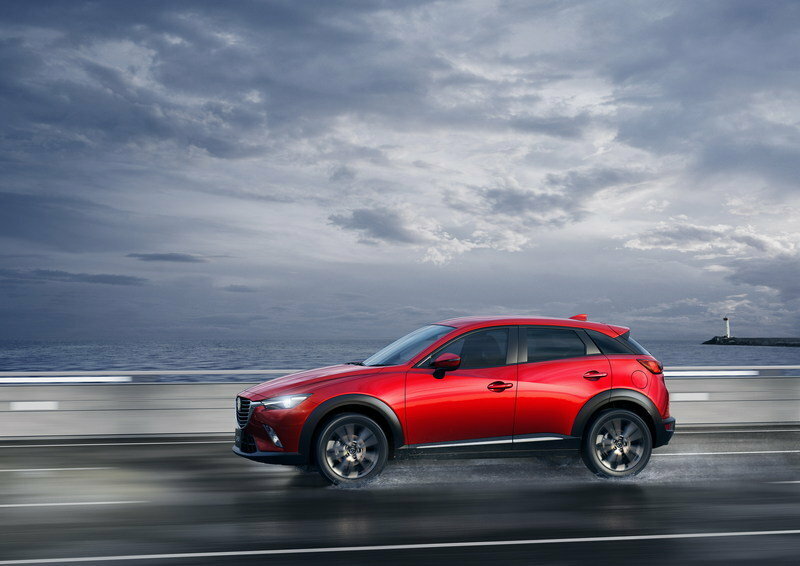 The AWD system utilizes what Mazda calls Active Torque Control coupling and a front wheel slip warning detection system to keep all four wheels turning when road conditions are less than ideal. Pricing each model of the CX-3 carries over from 2016, with the CX-3 Sport coming in at $19,960, the CX-3 Touring at $21,960, and the CD-3 Grand Touring at $24,990. Despite the carryover of model pricing, there are some subtle differences in place for 2017. 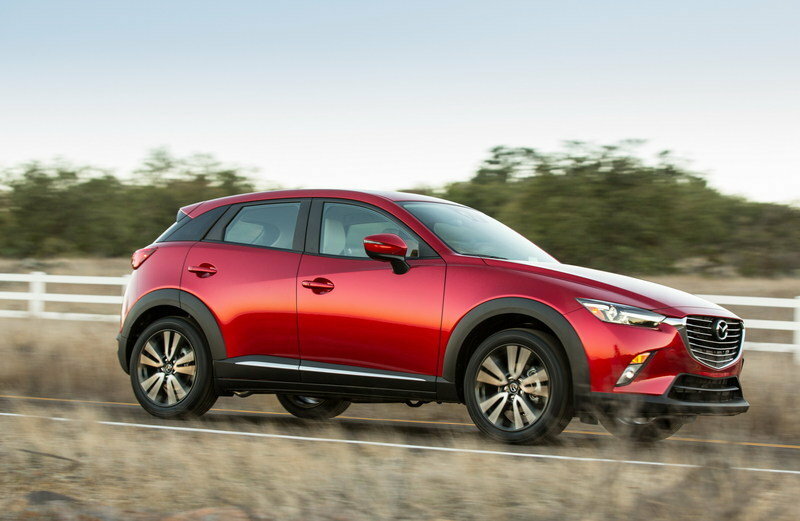 For instance, the CX-3 Touring now comes standard with 18-inch alloy wheels, a feature previously reserved for the Grand Touring model, heated mirrors, leatherette and cloth seats, heated front seats, leather-wrapped steering wheel, leather-wrapped shift knob, blind spot monitoring, and rear cross-traffic alert. The touring premium package commands $1,410 and includes a Bose seven-speaker audio system, power moonroof, satellite radio, HD radio, and a cargo cover. 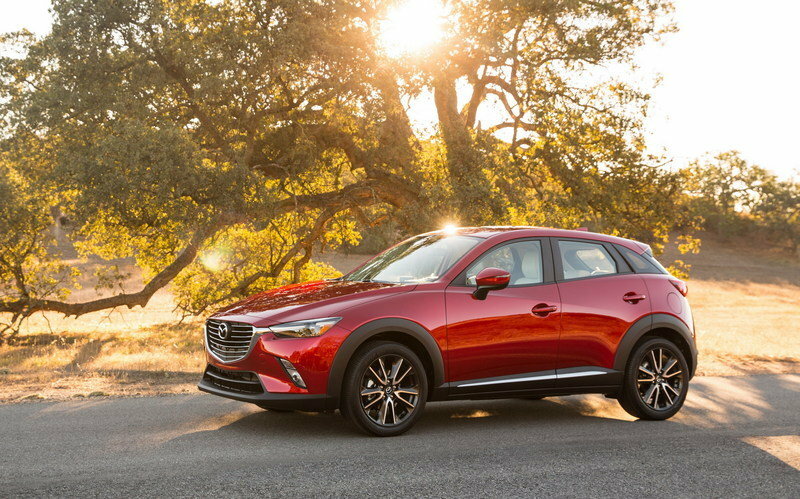 The most important change, however, comes in the form of the i-ACTIVESENSE package, which includes Mazda Radar Cruise Control, Automatic Smart City Brake Support, lane departure warning, high-beam control, automatic headlights, and rain-sensing wipers. Previously priced at $1,920, the i-ACTIVESENSE package now costs only $1,170 for the 2017 model year – that’s a decrease to the tune of $750. Furthermore, two premium exterior colors are also available – Crystal White Pearl and Soul Red Metallic—which will set you back $200 or $300, respectively. 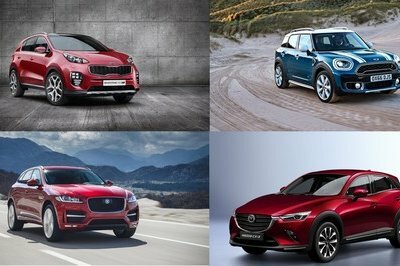 To have a piece of the compact crossover market here in the United States, the Mazda CX-3 has to go against the Nissan Juke. The Japanese crossover just got its mid-cycle refresh for the 2015 model year, meaning it arrives in dealerships with revised headlamps, boomerang-style taillights and reshaped bumpers, among other features. Interior updates are rather minor, but the Juke is now able to fold its rear seats completely flat and boasts a restyled cargo area with increased capacity. Engine-wise, the 2015 Juke keeps its turbocharged, 1.6-liter four-banger with 188 horsepower and 177 pound-feet of torque. 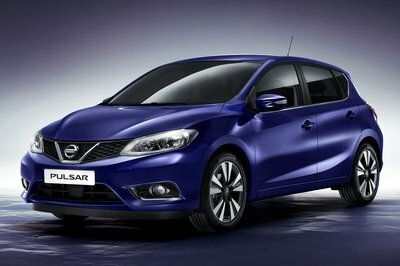 However, due to certain revisions, the engine emits less CO2 compared to the previous model. 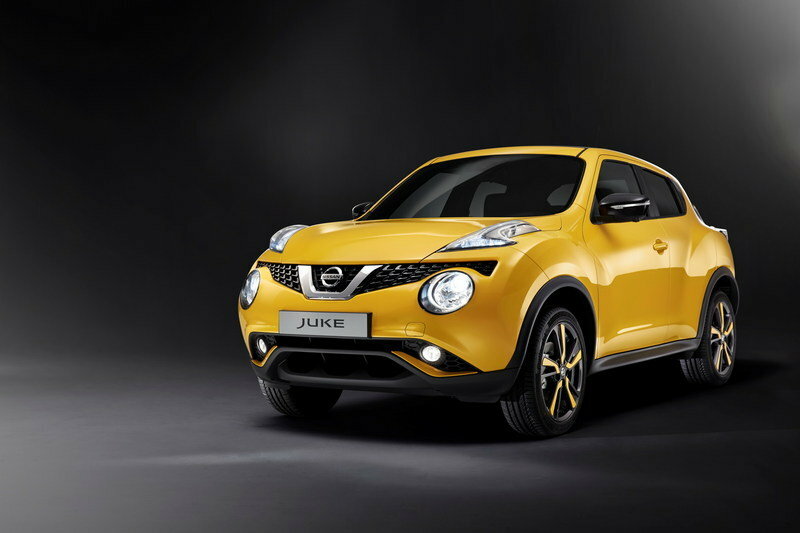 The 2015 Nissan Juke is expected to start from about $20,000. Read our full review on the Nissan Juke here. The HR-V is also a brand-new product that comes with the same ambitions as the CX-3. Already available in Japan as the Vezel, the HR-V is underpinned by the same platform as the Honda Fit and share some of its styling cues with the larger CR-V. 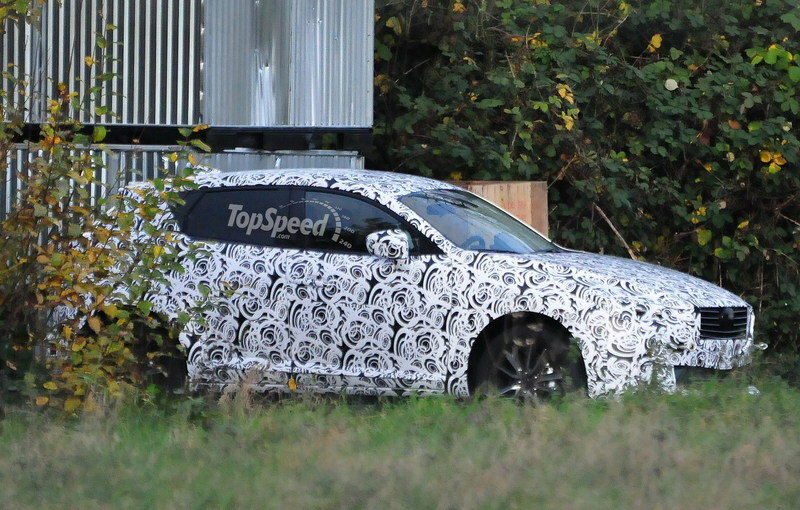 Details are slim as of this writing, but Honda promises a spacious and practical interior with a "unique center tank layout" and the Magic Seat system. The latter allows for multiple seating configurations and a second row that can be folded completely for extra cargo space. As for powertrain, the HR-V is likely to get the same 1.5-liter four-cylinder found in the Fit, but a bigger engine could be offered as well. The four-banger delivers 130 horsepower and 114 pound-feet of torque through either a six-speed manual transmission or a CVT. Not exactly enticing when compared to what the Juke has at its disposal. 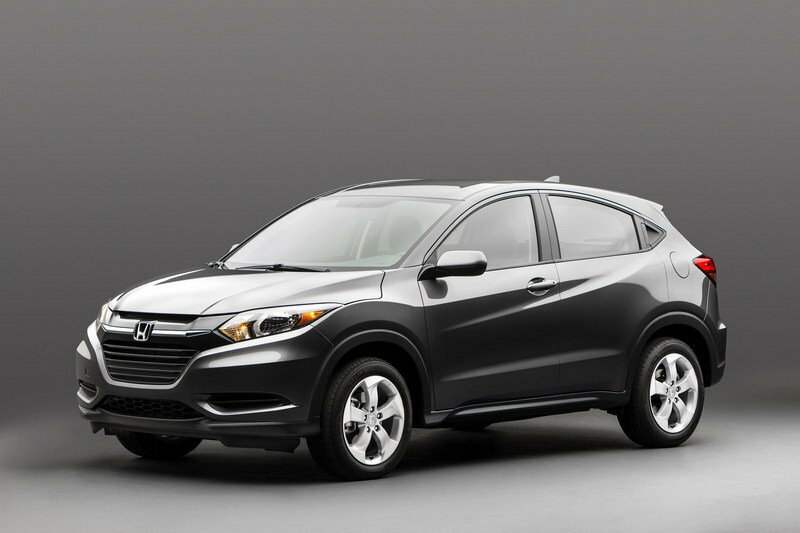 Read our full review on the Honda HR-V here. 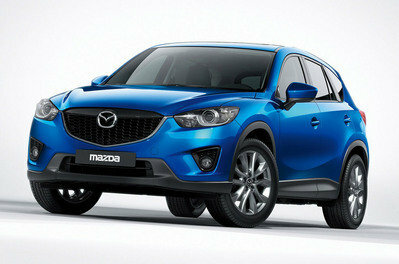 Mazda’s newest crossover and first foray into the compact crossover segment appears to be a solid competitor. It’s tasteful yet sporty design makes it live up to the automaker’s zoom-zoom motto while its Skyativ powertrain will likely crank out best-in-class fuel economy numbers. 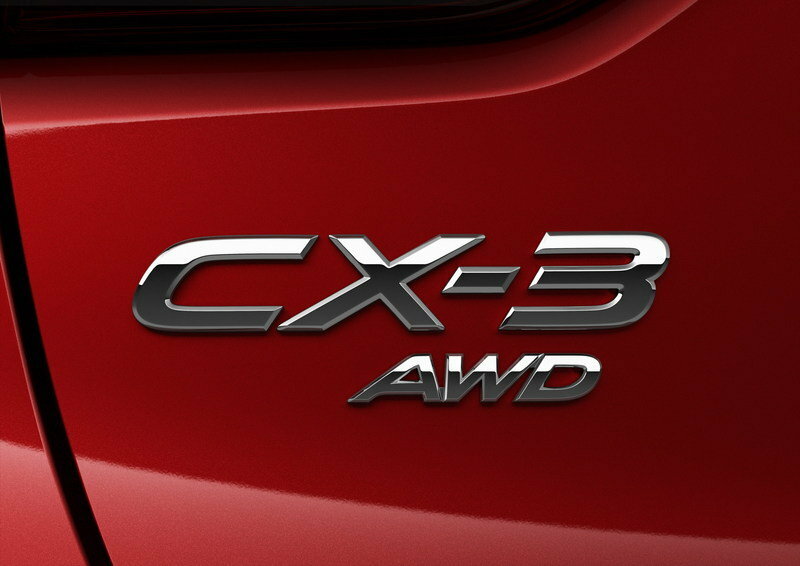 The availability of AWD means the CX-3 will likely be a hit in northern states while the FWD version will do better on the EPA cycle. With the compact crossover segment blowing up these days, Mazda seems to have entered at just the right time. We look forward to getting behind the wheel. When we do, you’ll see it here. 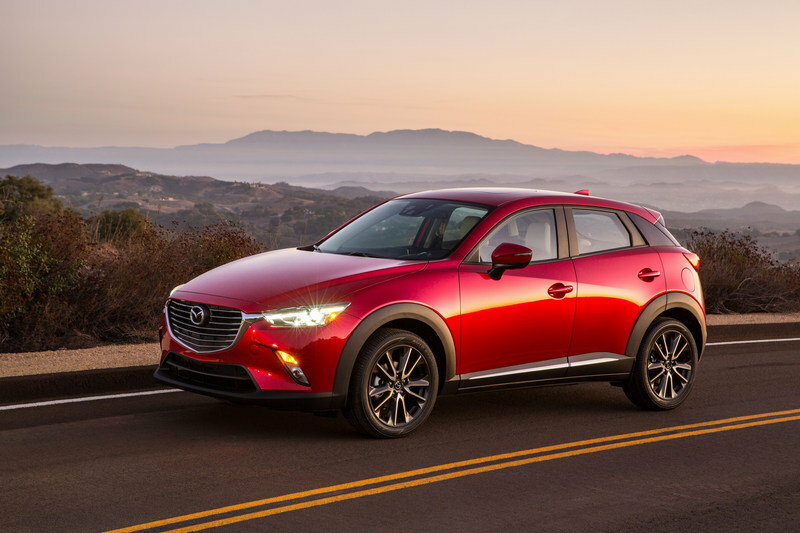 UPDATE 11/19/2014: The new Mazda CX-3 made its world debut at the 2014 Los Angeles Auto Show and we can now offer you full details on this compact SUV. Details after the jump. 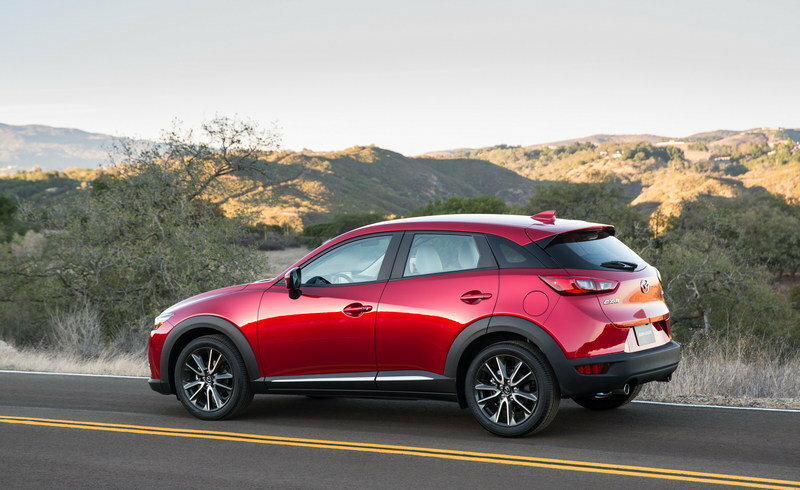 UPDATE 10/28/2014: Mazda officially confirmed that the all-new CX-3 will be unveiled at the 2014 Los Angeles Auto Show in November. 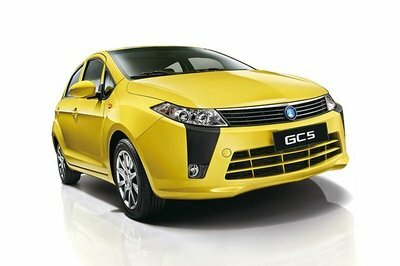 A first design sketch of the compact SUV was also unveiled. 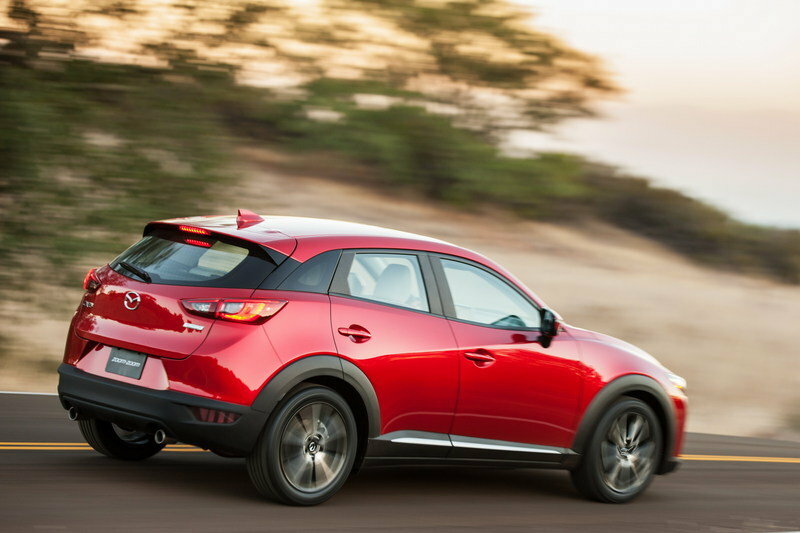 Updated 07/16/2015: Mazda announced prices for the 2016 CX-3 which will be put on sale in mid-August. 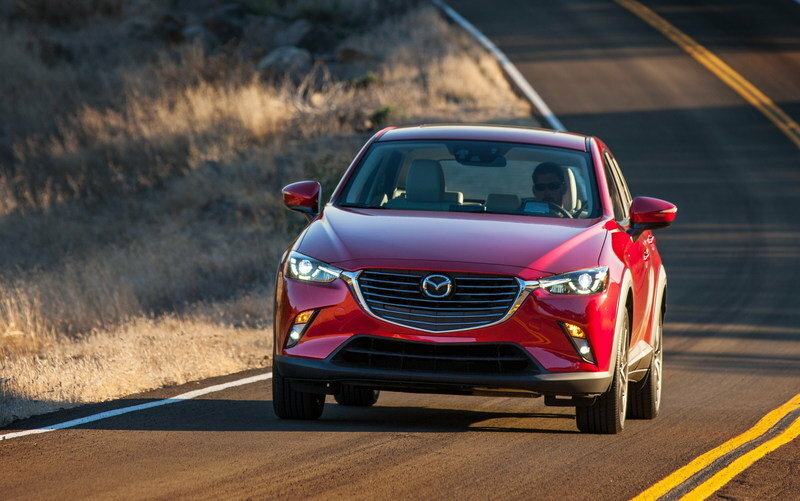 Prices will start from $19,960 for the entry-level CX-3 Sport with front-wheel drive.